Beautiful weather out here albeit a little wet....Not a good photographer and these were all taken indoors so excuse the lack of clarity. 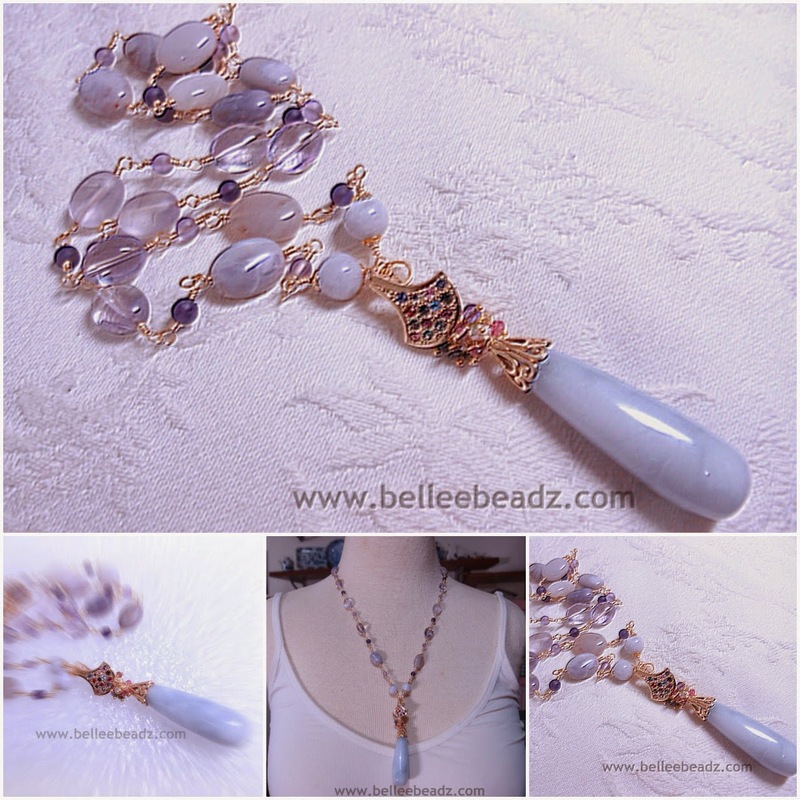 Finally completed this necklace with an lavender jade smooth brio as a focal. 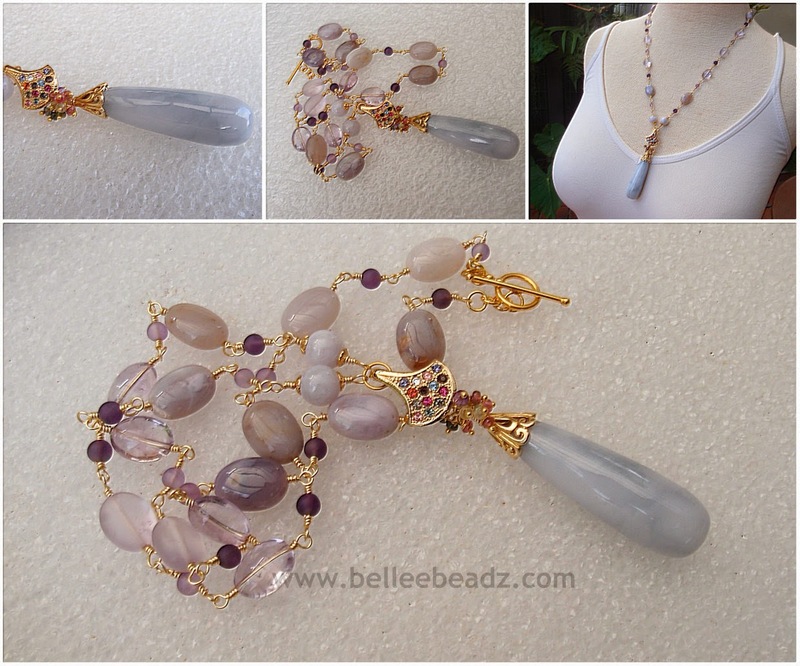 Removable bail studded with swarovski crystals, a necklace featuring 2 lavender jade smooth rounds and the rest being frosted and clear pink amethyst ovals, dark and light purple amethyst and the balance being gorgeous agate in shades of lavender/lilac. A small cluster of multicoloured smooth tourmaline rondells adorn the top of the brio which is capped with a vermeil beadcap.